Need a doctor over the Easter break? Stepping On coordinator Amanda Doring leads falls prevention exercises at the first WSLHD Seniors Health Expo for Migrant and Refugee Communities. More than one hundred seniors from migrant and refugee backgrounds were put through their paces in Blacktown’s Bowman Hall. The ‘Stepping On’ falls prevention exercise was part of the inaugural Western Sydney Local Health District (WSLHD) Seniors Health Expo for Migrant and Refugee Communities, which coincided with April Falls Day. More than 20 health service providers addressed topics ranging from diabetes and oral health to breast cancer screening, with interpreters available for Arabic, Turkish, Cantonese, Mandarin, Dari and Nepalese speakers. Prabha Chand observes a dental services demonstration. Other services at the expo included Aged Care Assessment Teams and Diabetes NSW. The focus was on connecting people with community aged care, to help people remain at home healthy and well for longer. “The event was an amazing success and showed there is a big demand for health information among people from diverse cultural backgrounds,” Priority Population program lead Jo Fuller said. About 130 seniors from migrant and refugee communities attended the event at Bowman Hall, Blacktown. Lunch was provided by Blacktown Meals on Wheels, which accommodated for vegetarian and halal options. The initiative was led by multicultural access project officer Sora Machida, with support from the WSLHD Multicultural Health Service team, in order to inform migrant and refugee communities about local health services. WSLHD services one of the most culturally diverse regions in Australia, where nearly half of residents were born overseas and more than half speak a language other than English at home. 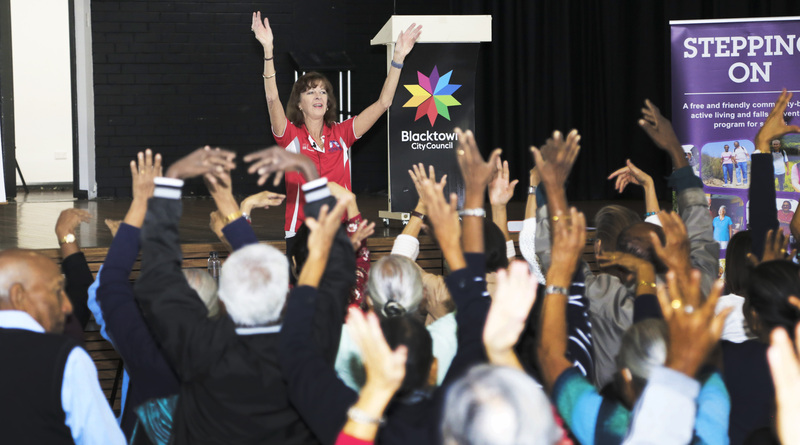 Discussions are now in place to hold another Seniors Health Expo for Migrant and Refugee Communities in Blacktown and one in Auburn, as well as a carers expo. WSLHD Priority Population program lead Jo Fuller said the great attendance at the first event demonstrated the level of demand among diverse cultural groups. Here at The Pulse, we love hearing about what’s happening, so send us your stories. Subscribers to The Pulse will receive regular emails about top stories, news and events from Western Sydney Local Health District. You can unsubscribe at any time. The Western Sydney Local Health District Board is chaired by Richard Alcock and twelve Board Members who bring a wealth of experience and local knowledge to the management of our LHD. Western Sydney Local Health District is committed to delivering world class healthcare to support the health and wellbeing of our community. We aim to work together to make our community the healthiest in NSW. Subscribe to The Pulse will receive regular emails about top stories, news and events from Western Sydney Local Health District. You can unsubscribe at any time. Stories should be submitted via WSLHD-ThePulse@health.nsw.gov.au, and be at least 150 words long. Stories may be edited for length, quality, clarity and relevance. Photos must be high resolution and include correctly spelled captions with names from left to right. Publication is at the discretion of the WSLHD Chief Executive. Copyright WSLHD. All times are AET.